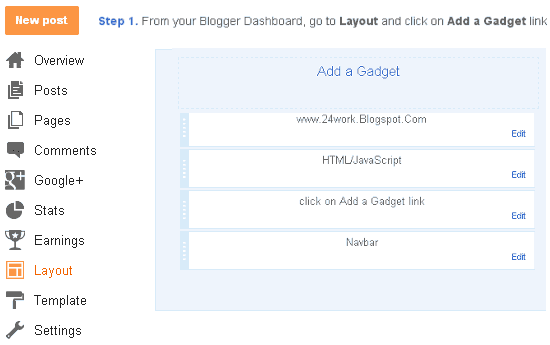 Now Replace the http://bdlab.blogspot.com with your blog Url. intervalspy=4000; Scrolling speed of the widget,if you decreased the value speed of widget will increases. If you don't want to show post thumbnails then change this value var showpostthumbnails = true; to false. Paste the code given below in the field and Save. True is for Display item and False for not to display. Change According to your needs. Change http://bdlab.blogspot.com with your Website/ Blog URL. 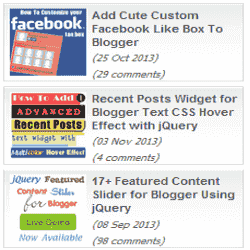 Follow these very simple steps to add the "Tooltips Recent Post Widget For Blogger With Thumbnail " in your blog.